Released in October 2016 and 2018, Amazon’s duo of Fire TV Stick offerings set the bar for what is possible in a small form factor streaming device going into 2019. In addition to a general spec bump over its older sibling, the newer third generation Amazon Fire TV Stick adds the ability to stream 4k HDR and Dolby Vision as well as Dolby Atmos audio. As explained below, what once was an underpowered, and frankly frustrating device, now offers the best value to performance proposition in the streaming device market. As a general note, unless otherwise mentioned, the comments in this review apply to both Fire TV Stick devices offered by Amazon. Originally released in 2014, the original Fire TV Stick was a response to Google’s Chromecast, which allowed users to stream videos and moves from their phones and other mobile devices without the use of a remote or menu system of any kind. This allowed Google to build a device that could be low power, but still stream high definition content, albeit at only 30 frames per second. Amazon’s approach was to attempt to build out a full-on set top box replacement, with a bluetooth remote control and full user interface built on top of Android TV. The result was a laggy, less-than-ideal experience (to say the least). The second generation Fire TV Stick was a major improvement in performance, allowing users to have a fairly smooth experience, despite being limited to 1080p resolution. With all that said, major improvements have been made over the last five years in mobile processor performance, all while the cost of components has dropped consistently over the same period of time. As a result, in 2019 we now have an Amazon Fire TV that can easily push 4k resolution, provides a smooth user experience, and costs only $50 retail. Even better, this device can often be had at a discount, making the value proposition even better. For example, as of this writing, Amazon is offering a two pack of the Amazon Fire TV Stick 4k for $85. Deals around Amazon’s Prime Day, Black Friday and Cyber Monday can bring the price down even further. Without further ado, let’s take a deeper dive into this feature-packed device to understand why so many people rely on it as their streaming device of choice. At first glance, the two Fire TV Sticks look almost identical. In fact, aside from a small difference in dimensions and logo, the is no outward difference. This actually became a problem at my home, where we have a few extra Fire TV Sticks laying around. To differentiate, I had to label the older one to remove the ambiguity. As you may expect, when you look under the hood, the differences are far more noticeable. In short, the Fire TV Stick 4K includes a drastically more powerful GPU capable of pushing full 2160p at 60fps, with support for all the major video formats, including Dolby Vision and HDR. A significant upgrade for only $10. The Fire TV Stick 4K also introduced the new Alexa Voice remote with IR support, which allows you to control functions like power and volume on a wide-range of compatible TVs, soundbars, and A/V receivers. Shortly after its introduction, Amazon also started bundling this new remote with the 2016 Fire TV Stick as well. A welcome benefit to those not opting for the 4K model. While specs are important, what really counts for a consumer device like the Fire TV Stick is how the hardware supports the software, and whether it can deliver an experience that people can easily use and without frustration. Fire OS, which runs on a fork of Android (Lollipop for the 2016 Fire TV Stick and Nougat for the 4K variant) is functional, but far from the standard bearer. 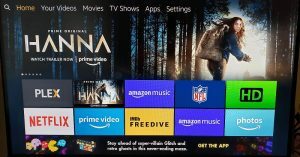 After plugging in your Fire TV and completing the initial setup, you are presented with your homescreen, which offers you a series of menu tabs for content: Home, Your Videos, Movies, TV Shows, Apps, and Settings. There is also a manual search function, though assuming you are using the bundled Alexa voice remote, using voice search is infinitely more convenient than typing your query one letter at a time. One thing should be made clear right off the bat. If you do not subscribe to Amazon’s Prime service, there is little reason to use a Fire TV Stick. Amazon’s prime content is front and center in nearly every corner of the user experience and if you do not have access to view said content via a Prime subscription, I can only imagine how frustrating it would become. However, even for those of us that are Prime evangelists, the constant stream of suggested content can be tiresome. More on that later. Focusing on the Home tab, the top third of the screen is occupied by advertisements for new content offered by Amazon, which you can highlight and trigger a video promo. This content is refreshed on a regular basis and cannot be hidden. If you don’t like commercials in your user interface, you won’t love this. Scrolling down, users are met with a series of rows of icons, which small titles above each row to describe what that row contains. This design is constant throughout the entire interface. Get ready to scroll right. A lot. The first row are your most recent items, which can include apps such as Hulu and Netflix, but if you recently viewed a movie or tv show on Amazon Prime, that specific content is displayed. For example, if you are bingeing the most recent season of the Marvelous Mrs. Maisel (and if you haven’t you should), instead of the Prime Video App displaying in your recent items row, an icon for Mrs. Maisel will be there ready to take you directly into the next episode. This only works for Amazon Prime content, which is unfortunate. Scrolling down further displays a row of “your apps and channels”, which only displays apps you have installed, which include network channel apps that are activated by your cable or satellite subscription. Every row below this begins a seemingly endless stream of Prime-centric advertisements and suggested content from channels that can be purchased through your Amazon account for additional monthly fees. The argument for this type of interface is that it allows you to constantly discover new and interesting content that you may not otherwise find and enjoy. The argument against it is that most of the time I know what I want to watch when I sit down at my TV and I don’t need billboard-style advertisements when all I am trying to do is watch reruns of Seinfeld. The other tabs of content are, by and large, more of the same, with a specific focus on one category of content, so I won’t comment more on how the content on those pages are laid out. Suffice to say it is more of the same. On the upside, navigating the interface is quite straightforward and I never feel lost. Pressing the home button on the remote always takes you to your home screen, where again, your most recent content is easily accessed. Amazon Alexa is also here, front and center at the top of the remote via a microphone button. Simply hold the button down and Alexa is listening (by the way, if you haven’t purchased an Echo device for your home yet, what are you waiting for?). All of Alexa’s personal assistant skills are here, with the added benefit of media searching as well. Can’t remember whether the latest Marvel movie is streaming on Prime or Netflix? Alexa can help. This feature sets the Fire TV Stick apart, as Amazon currently leads the pack against Google Assistant and Siri for the best voice assistant (in my opinion). In sum, Fire OS is clearly designed to allow users to easily access and discover Prime Video content, but all the other apps and services you may want to use (with only a couple small exceptions — I’m looking at you Youtube TV) are accessible and easy enough to use. The inclusion of Alexa, however, is the real selling point by putting any content you may want a simple voice command away. 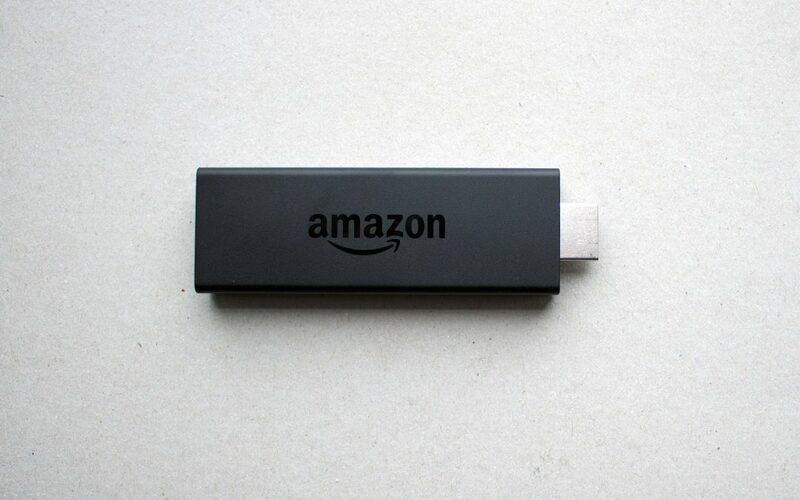 The question is this: why choose an Amazon Fire TV Stick over other dongle-based streaming devices? We’ll take a brief look at the other options in the market of dongle-based streaming devices. Pros: For those users who want the most dead-simple streaming experience available, look no further than the Google Chromecast. Simply navigate to content you want to watch on your mobile device and as long as the app supports Google Cast (most everything nowadays), you can simply send the content directly to your TV. Cons: Less tech-savvy users may be turned off by the lack of a traditional remote or user interface. Why you may choose it over the Fire TV Stick: If you have invested heavily in the Google ecosystem and own Google Home devices and android phones, your experience with Chromecast will be far more seamless than with a Fire TV Stick. Pros: Like Chromecast, the user interface of the Roku is incredibly simple, but with the added benefit (for some) of an actual remote and app icons. The Roku was a pioneer in the streaming device market and many attribute this to its ease of use. Cons: While easy to use, the Ruku interface simply looks dated. Also, the included remote has shortcut buttons for services that you may not use and cannot be remapped. Why you may choose it over the Fire TV Stick: I tell people who ask me what streaming device they should get for their parents or grandparents to get a Roku. That should tell you all you need to know. Pros: In true Apple form, the Apple TV interface is gorgeous and has the most seamless universal search across streaming services for television and movie content. It also offers the best selection of games, with the added benefit of using the touchpad and gyro-enabled remote as a controller for many titles. It also supports Airplay natively for iPhone/iPad owners. Why you may choose it over the Fire TV Stick: If you have a bunch of Apple devices in the family, my guess is you don’t need to be told why you may buy this device. For iPhone users, and those with a large iTunes library, this is clearly the best option, as it is the only device that integrates Apple services. Pros: Clearly geared towards gamers and geeks, it is considered by may to be the best streaming device on the planet. For gamers, the Shield can stream (almost) any game from an Nvidia GPU-powered PC in the same home, or anywhere with a fast internet connection via Geforce Now, Nvidia’s proprietary game streaming service. Why you may choose it over the Fire TV Stick: Much like the Apple TV, Nvidia Shield users tend to be a self-selecting bunch. If you are a tech nut and Android user (the Shield runs on Android TV), you probably already own a Shield. For me, the FireTV Stick strikes the best balance of affordability, features, and performance. For $50, you get a device with a modern interface, support for the latest technology like 4K and Dolby Vision, and an Alexa-powered remote that, for most people, can replace all other remotes in the room. In addition, if you enjoy content discovery and are an Amazon Prime subscriber, no one knows how to push new content like Amazon. I’ll let you decide whether that’s a pro or con. At the end of the day, the Amazon Fire TV Stick is the most affordable entry into 4K streaming, and that alone may be enough to tip the scales for most people.